The U.S. Deparmtent of Transportation has issued information about the possibility of legislation that all drones will have to be registered in the new future. 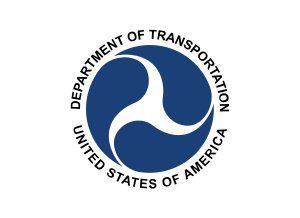 WASHINGTON – U.S. Transportation Secretary Anthony Foxx and FAA Administrator Michael Huerta announced the creation of a task force that is set to put in place recommendations that all Unmanned Aircraft Systems (UAS) go through a registration process. The complete task force will be comprised of between 25 and 30 individuals from both the FAA and government and will decide which types of drone will be exempt from the legislation, which is expected to be minimal risk drones including toys. Every day the FAA receive complaints about unsafe use of drones ranging from misuse at sport events to interfering with the natural environment. 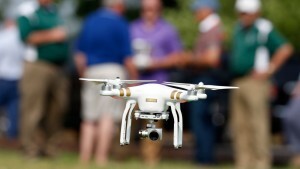 Over 1 Million Drones Expected to be Sold in the US at Christmas – But are they Legal? The FAA anticipates that there will be over 1 million drones to be sold over the 2015 Christmas period and yet they are still undecided on the however they have so far failed to decide on the legalities of integrating them into US airspace. In 2012 the US Congress put forward a mandate that the FAA have regulations in place by September 30 2015 on how to best address the safety concerns of the use of hobby drones in US airspace, however it’s now October and no such regulations have been established. Whether this figure is accurate or not is open to debate, however what is certain is that a large number will be sold and yet there is no regulation in place, and it looks unlikely that there will be before the Christmas period kicks in. In February this year the FAA did put out some proposals that hobby drones should be restricted for use below 500 feet, never flown above the general public and that it should be kept in sight at all times, however it is yet to approve these proposals. The suggestion is that these proposals will be put in place next year however there is no official time frame in place.